The Independence was downed in their last regular season home game of the season, as a 2nd half penalty was enough for the Boston Breakers to steal all three points. The Independence only have two games left to secure a 2nd place finish in the league. New PSP photographer Anna Clay was at the Philadelphia Independence game Sunday, and she has a photo essay of their tough loss to the Boston Breakers. Philadelphia’s largest adult amateur soccer league kicks off its fall season this Saturday. PSP reviews last season and offers predictions for all four divisions, complete with wiseass remarks. 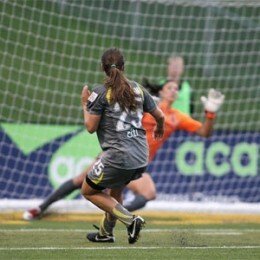 The Independence missed an opportunity to solidify their hold on second place with a 1-0 road loss to Sky Blue FC in a match that featured a 112 minute rain delay. Two DiMartino goals, two Rodriguez assists and Lohman’s game winner tops Atlanta to keep the Independence firmly in second place. 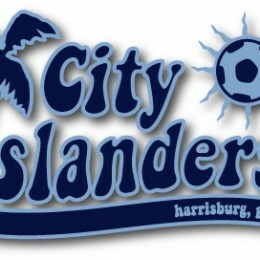 The Harrisburg City Islanders finish season that fell short of expectations this Saturday at home when they host the playoff-bound Pittsburgh Riverhounds. Amy Rodriguez found the net to put the Independence up eight minutes into the second half. After Chicago equalized nine minutes later, substitute Lianne Sanderson sealed the deal for the Independence. Reading United AC general manager Art Achenbach is the featured interview this week’s KYW-PSP podcast, fresh off his team wrapping up its great run to the USL Premier Development League final four. Hosts Greg and Dan also talk some Union before welcoming in two special guests for an EPL preview. The Independence remain two points ahead of Boston in the race for second place after a 2-2 draw on Sunday night. Holmfridur Magnusdottir scored both goals for Philadelphia. Reading United’s impressive run in the Premier Development League ended this weekend after they lost 2-1 to eventual champs Portland in the PDL playoff semifinals. Reading then lost the third place match on penalty kicks.